For large jobs, Green Glue comes in 5 Gallon Pails. 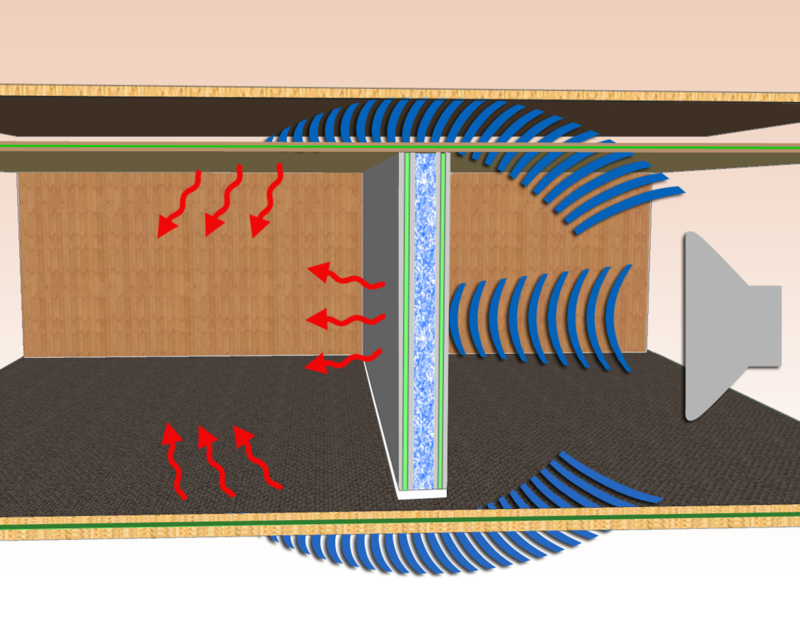 Each pail covers 352 sq.ft., or eleven sheets of 4' x 8' drywall. Bulk Green Glue can be applied quickly with a special re-usable tube dispenser and follower plate that can be purchased separately. 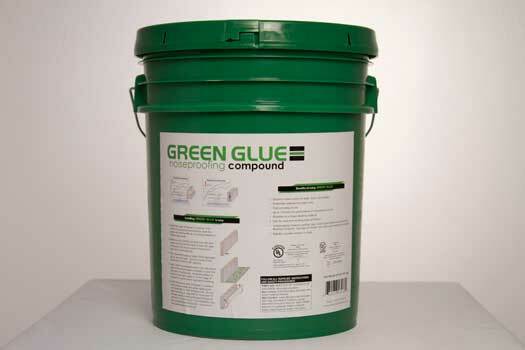 The Green Glue 5 Gallon Pail has a lower cost per square foot, about $0.15 per square foot less than Green Glue compound tubes. Although this sounds minimal, on a big project, that requires multiple pails, this can equal hundreds of dollars in savings. For the best results and easiest application check out the Green glue Dispensing Gun in our related items box to the left. Attach the plastic nozzle to the applicator gun. Cut the tip of the nozzle to create a 1/4" opening in the nozzle. Prime the applicator by pulling the plunger at the back of the applicator 5 times. Remove the lid from the pail. Place the follower plate on the surface of the Green Glue. Submerge the nozzle halfway into the Green Glue, press the metal lever at the rear of the applicator, and pull the plunger up to fill the applicator with Green Glue. 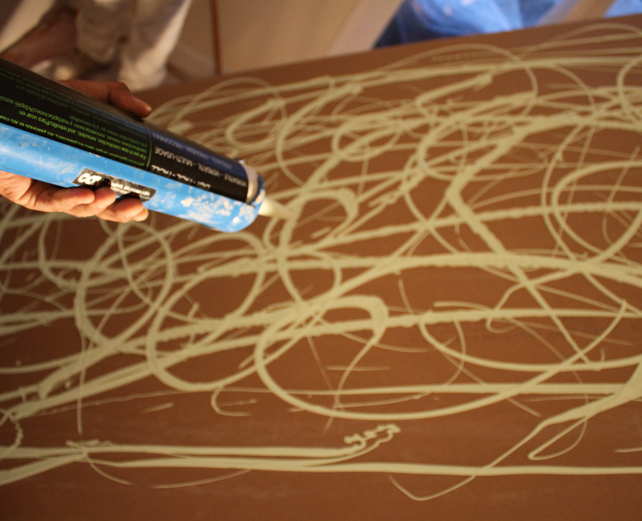 One full applicator is approximately equivalent to one tube of Green Glue.